Actively Investing in Property, But Want to Diversify? Investment diversification is one of the basic building blocks of a solid investment portfolio and diversification is just ‘industry speak’ for the age old advice “Don’t put all your eggs in one basket”. However, what if you want to heavily weight your investments towards property – but still diversify? It CAN be done, and not just by leveraging up to buy more property. Property is the largest real asset class in the world, and makes up the largest component of household wealth in Australia – as a result, property is understandably considered an essential asset class within any investment portfolio, especially in Australia. So how can you diversify within property? Broadly speaking, property can be split into residential, commercial, industrial and retail sectors. Further, it can also be directly owned (like your principle place of residence or investment property for example), indirectly owned through a managed fund, syndication or through a real estate investment trust (REIT). These various ownership structures and different sectors within the property sector can provide means for an investor to diversify within the broader asset class of property. Consideration should be given in any portfolio between growth, defensive and income based assets. Often it is argued that growth assets carry the most risk, with higher potential returns – with growth assets expected to provide returns in the form of capital growth. Meanwhile, defensive assets are supposed to carry lower risk, and therefore lower expected returns. However, this is where property comes into its own – as depending on who you talk to, some people refer to property as a growth asset, while other may argue it carries the characteristics of defensive or income based assets. ‘The best of both worlds’ as the saying goes. When Australian investors are seeking to build wealth, or are in the ‘accumulation phase’ – there is a strong appetite for growth assets, often at the highest ends of the risk spectrum. Anecdotally, it is argued that younger Australians have a much higher tolerance for volatile fluctuations in value as they have ‘time on their side’ and are prepared to wait through long term cycles. However, more and more of these investors are turning to the property in order to access capital growth potential, as well as the defensive characteristics of the largest asset class in the world. As the investors move into the transition to retirement phase, or even retirement phase – income producing assets become more attractive to balance their portfolio and generate the required income to live as they enjoy retirement. This can be achieved in many ways, such as direct property holdings yielding income, REITs and managed property funds. Again property provides the perfect balance at this point in an investment lifecycle, as it’s generally considered lower risk than assets like shares/equities, but generates more income than cash. So where is the diversification? The most common method of investing in property in Australia directly is via a residential property, either owner occupied or as an investment vehicle. It’s a popular method as its widely available and understood, can offer tax advantages and it’s a tangible and real asset. However, weighting a portfolio heavily towards direct property holdings, particularly solely via residential property isn’t adequate diversification as too much of the available capital is often concentrated in one or two illiquid assets. Often, direct ownership can also require a significant time commitment in relation to management and maintenance, and in some cases a financial cost if you outsource these tasks. Alternatives to direct residential property ownership are property trusts, property syndicates and REITs. These investment methods can offer many levels of diversification across different property classes, and also geographic locations – as many property markets in Australia have investment cycles independent of each other. Whilst providing opportunity for capital growth, they can also offer property exposure without the substantial capital commitment or debt that systematic of direct property purchasing. Some funds or syndicates can offer geographic diversification within the one single fund, by holding or developing multiple properties in different regions or even classes. Property is widely accepted to be an essential part of any investment portfolio. 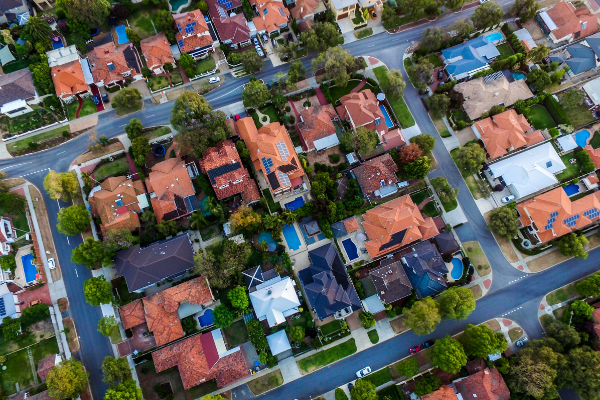 Diversification within property can add balance to this portfolio without varying from the desire to have significant exposure to property as so many Australians do. So while direct property investment is a worthy investment decision, investors with a keen interest in property can consider balancing their property interests via managed funds and REITs that are less capital intensive, but can offer the same investment characteristics that draw investors to the property market in such numbers.